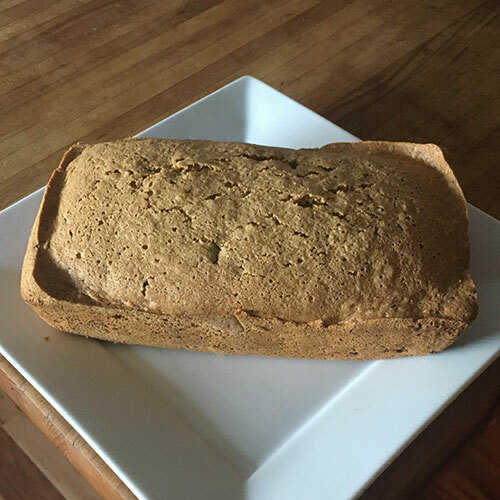 Loaded with organic zucchini, this DAIRY FREE AND GLUTEN FREE bread is both healthy and delicious. Subtle undertones of cinnamon and nutmeg add to the warmth of this bread. Packed with mini chocolate chips or not, this bread is sure to please. 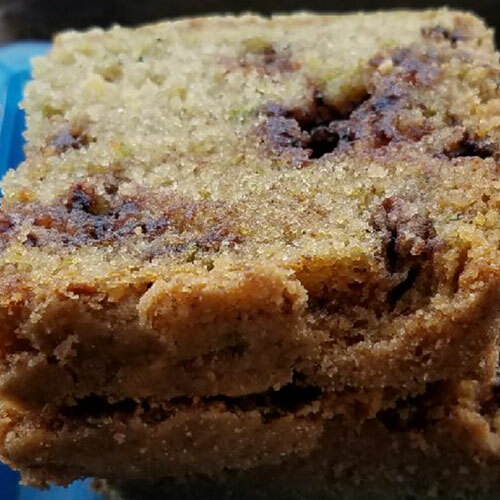 Ingredients: Organic Gluten free flour blend (brown rice, basmati rice, sweet rice, tapioca, xanthan gum), organic zucchini, organic eggs, organic sunflower oil, aluminum free baking powder, cinnamon, nutmeg, vanilla extract, celtic salt.